A powerful dragon will lend its strength to this already formidable-looking blade. 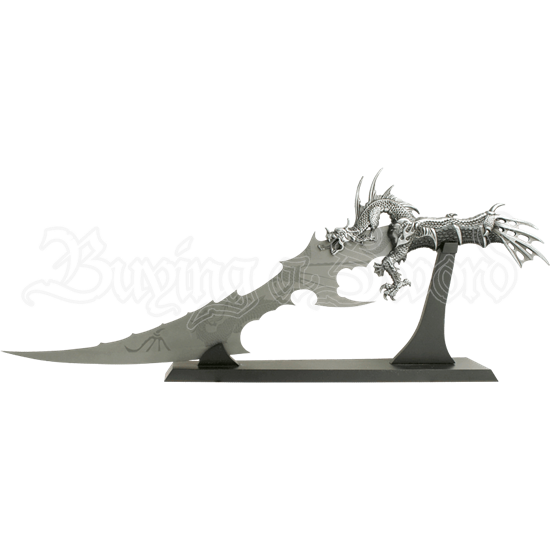 The Silver Dragon Short Sword is a stunning little weapon that has a wicked blade and an ornate look that makes it serve well as an impressive display piece in your decor. Almost every inch of this weapon is laden with impressive detail, ensuring that from point to pommel, this dagger is nothing less than impressive. The hilt is cast-metal with a silver finish, and it is formed into the shape of a sinister and powerful dragon, with the head and feet acting as the guard, while the tail, with tis ornate fin, acting as the pommel. The dagger blade is crafted from stainless steel and laser-etched to depict a stylized serpentine dragon along its length. The blade also features an impressive shape, including a curved faux-edge and a single barb near the blades base. Included with the dagger is a black wooden display stand. 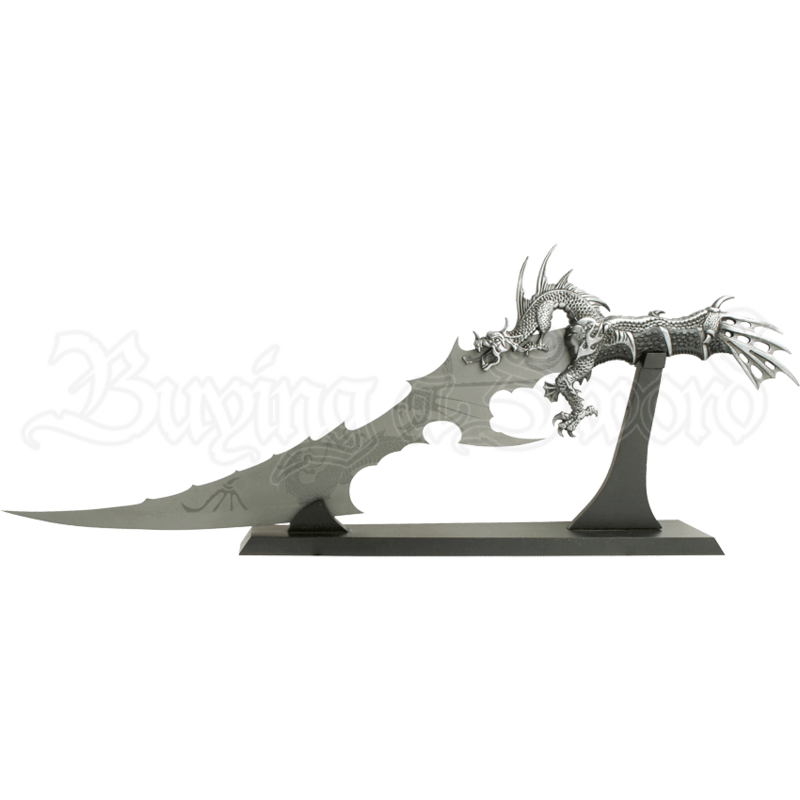 In your hands, this dragon dagger is a lethal looking prop weapon that will leave other shaking in their boots, while in your home, this Silver Dragon Short Sword is bound to impress, thanks to its stunning level of detail.